BURYAT: Where should we load this beauty, Nikolayevich? BURYAT: Yes, yes, the one that I brought. I am already in Donetsk. KHMURYI: Is this the one that I am thinking about? The one ‘B’… ‘M’? KHMURYI: Is it on a hauler? BURYAT. Yes, it is on this one. We need to unload it somewhere and hide it. KHMURYI: Is it with a crew? BURYAT: Yes, with the crew. KHMURYI: Don’t hide it anywhere, it will now go over there. As extensive reporting by Bellingcat has subsequently made clear, the missile launcher had been sent over from Russia’s 53rd Anti-Aircraft Missile Brigade the night before. Transfered to a field near the village of Snizhne, it sat for several hours, then picked off MH17. That night it was shipped back across the border. 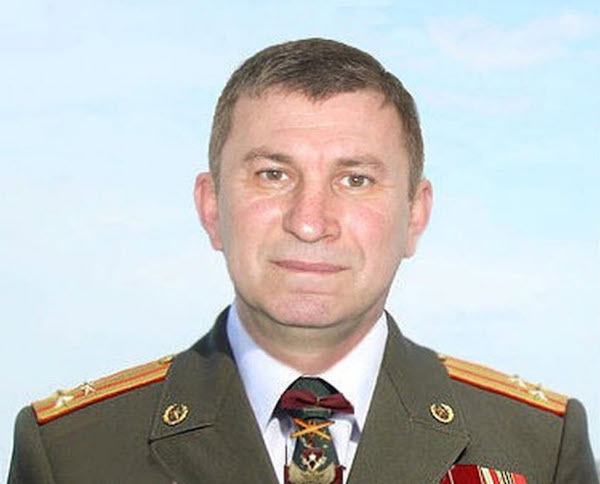 Last week, Bellingcat released a report identifying “Khmuryi” as Sergey Nikolaevich Dubinsky, a major general in the GRU special forces. His photograph is above. This is the first time an individual participant in the shoot-down of MH17 has been identified by name. To this day, it remains unclear exactly what Russia sought to achieve by destroying MH17. But the circumstances are coming ever more sharply into focus. Within minutes of destroying the civilian airliner, Russia launched a disinformation campaign that succeeded in misleading a large majority of Western observers into believing that the 777 had been shot down by accident by incompetent militiamen who had gotten their hands on a Buk by accident. On CNN, where I was still under contract at the time, this line was parroted reflexively. It was lamentable to me, and remains lamentable, that this “common sense” view was hewed to so narrowly. This kind of lock-step groupthink among the media is part of the reason that Russia’s misinformation campaign since 2014 has been so successful. Bellingcat’s efforts, however, offer some grounds for optimism. To paraphrase Lincoln, you can fool all of the people some of the time, but you can’t fool all of the people all of the time. Dogged research by Elliot Higgins and his crew, paralleled by the investigative efforts of Dutch investigators, are slowly bringing to light those responsible for this war crime. MH370 is a more difficult case, but the fundamentals are similar. A plane comes to grief; a flurry of implausible theories swirl. The public and the media alike are thoroughly confused. But quietly, step by step, the facts are laid bare. It’s only a matter of time before, like Dubinsky, the names and faces of the perpetrators are revealed to the public. UPDATE: Bellingcat has published further insights into Dubinsky’s role based on new information that has surfaced as a result of the report discussed here. @ed, Thanks for posting this, very interesting development. The more information that is given to NOK, the more that likely will leak out to the rest of us. Personally, I’m hoping that they’ll finally release the radar data, as well as anything thing else that might speak to the guilt or innocence of Zaharie. I don’t expect that this material will touch on the debris, however, as all that work seems to be taking place under Australia’s aegis. @Ge Rijn, I’m glad that you consider this a worthwhile forum. Of course you’re entitled to your opinion, but I see every reason to connect MH17 and MH370 — in fact a connection seems utterly obvious to me. As I’ve pointed out many times, they were sister planes, part of a small fleet of only 15 777s flying in MAS livery, and they came to grief within quite a short time span. One might argue about whether the shootdown of MH17 was intentional (though that, too, to me seems fairly obvious) but there is very little doubt that it was shot down by a regular Russian Army launcher operating under the guidance of the GRU. In the case of MH370, we know that the perpetrator was sophisticated enough to understand the opportunity afforded during ATC hand-offs, and, evidently, knew how to get an SDU to reboot. The American political landscape also offered a particularly soft target for dezinformatsiya, false information intended to discredit the official version of events, or the very notion of reliable truth. Americans were more divided along ideological lines than at any point in two decades, according to the Pew Research Center. American trust in the mainstream media had fallen to a historic low. The fractured media environment seemed to spawn conspiracy theories about everything from Barack Obama’s place of birth (supposedly Kenya) to the origins of climate change (a Chinese hoax). Trump, in building his political identity, promoted such theories. 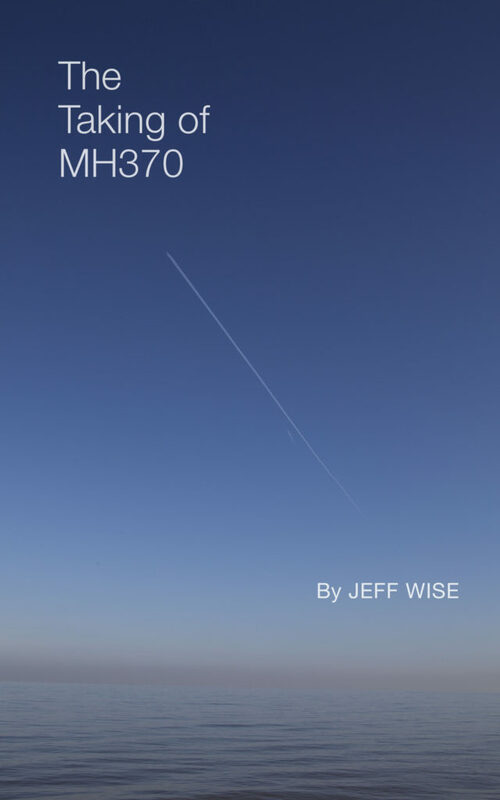 One of the frustrations in covering MH370 as I have is that the notion of truth has been eroded in just this way by the constant clamor of self-proclaimed experts. Indeed, I would say quite honestly that solving the riddle of MH370’s disappearance is an order of magnitude more difficult than getting anyone to listen to and understand the actual evidence and its implications. “We can enter your house, and do whatever we want” — this, I suspect, was the ultimate motive behind MH370 and MH17 as well. This comment has lead me to do engineering estimates of the speed of depressuring through the outflow valves. I tentatively calculate the depressurization rate could be quite fast, in the range of 4800-ft sec, if the bleed air (incoming air) is turned off. I am thinking the PSS777 and probably PMDG FSX models are not giving accurate representation. I will be checking my numbers. Re: MAS- MAS had previously made a statement (paraphrasing) that they were protecting their employees (eg; from unfair treatment). But there is a point when police are investigating, that employee protection is not the correct approach. Full disclosure (not necessarily public) is the correct approach. Now then if the police are not too curious and close the case, not sure legal approach. By the way, my calc of 4800 ft/min is close to FSX for the first minute, but I seem to show it keeps going at that same approx. rate if the bleed air is off. @BillT – My business was selling Valves so I know a bit about flow capacity and pressure drop. Not that it makes much difference, I think you are correct in saying the formula used by FS is just an approximation since three different formulas are needed to calculate pressure drop/flow capacity through Valves. In addition to the Napier critical flow equation, that result is modified for back pressure as recommended by Prof. Shearer of MIT using a lookup table based on the ratio of downstream pressure to upstream pressure for pressure drops between 5% and 40% of the upstream pressure. The Darcy formula is used for pressure drops below 5% of the upstream pressure. Russia isn’t some alien structure, currently they are at the level west was at the beginning of industrialisation, with various clans battling for power(and everything that comes with it). You’re just giving them too much credit, they aren’t even able to sort out the mess in their own country let alone influence the most important events around the world. Thanks for your reply. This is one of the reasons why I respect and keep respecting your effort. It’s interesting what you wrote. Indeed times have changed. Virtual reality is taking over more and more. Means of discommunication and influencing people with the current available internet-media are overwhelming. The more reason in my view to not get carried away by all this distrackting information and stay to available facts and data concerning MH370 specifically. It might be the Russians send in a BUK that day specifically to bring down MH17 approved by Putin and he also ordered the hijack and downning of MH370. But with what objectives? Almost no one in the world thinks of MH17 or MH370 anymore. It’s on no-ones political agenda. It’s just peanuts in world politics these days. Much more worrying indeed is your president and his team has sought connection to Putin before the election. Reassuring him no troubles will be made it seems. Also not on MH17? I suppose so, not even mentioning MH370. Much more worrying now than MH17 or MH370 is that a new Hitler-psychopath has come to power in the USA. The objective here and else is to solve the mystery of MH370 by available data, debris and whatever facts that surface IMO. @Ge Rijn, Couldn’t agree more. @TBill – I should have mentioned that I’d be happy to post the formulas should you be interested in doing the calculations. From the photo of the outflow valve I’d assign it a Cv of 1.0, or a higher value if there were any upstream piping. Note, a swing check valve with a circular port would have a Cv of 0.5 and a full round port gate valve has a Cv of around 0.1 to 0.2.
gives 3 minutes to depressure plane from FL60 to FL300 (while flying at FL350). In reality I calc 5-minutes using an on-line flow calculator, since flow equations change to slower leak rate. 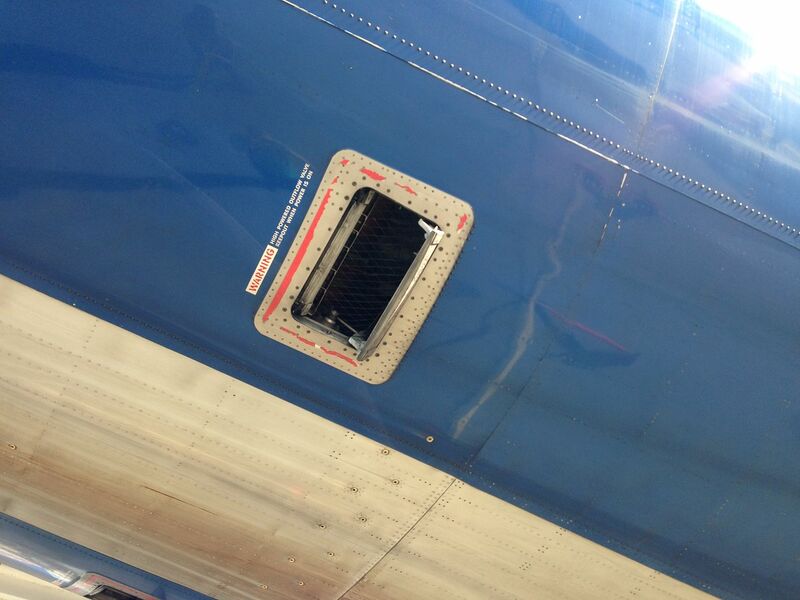 All of the above assume bleed air is off. Beyond that I suspect we’d need some airline industry expertise, but seems to me an intentional depressure could potentially be fairly fast. Much faster than I was thinking based on the PSS777 model. @TBill. In case of use in other calcs, if on, inflow from the AMM would have been constant at around 350lbs/min, versus your average ouflow with nil inflow, of 540lb/min. @TBill Outflow was from your your formula, which I now notice is constant. The average over 5 mins is 333 lb/min. Thank you for the inflow number. That would slow things down quite a bit at some point. I am assuming it could optionally be turned off. @TBill. I appreciate that inflow is not what you are looking at now but in case you come to use the 350 lb/min figure I gave you I am obliged now to correct it. I am having some problems with manuals vs models, schedules, interpretation and interpolation. On review, I revise the AMM inflow down to 285 lb/min. The source manual was published in 2005, model of 777 unspecified but could be a -300ER. The Training Manual, published in 1997 for an unspecified ER, could be a -200, has the figure at 255 lb/min. Either the 285 lb/min or 255 could match outflow at a cabin altitude quite a way below 30,000 ft, with outflow being taken as pressure difference dependent. Incidentally while inflow mass flow rate varies with altitude it does so with ambient pressure, the volume flow rate remaining the same. Second last line, for ‘ambient’ read ‘cabin’. Those who follow Australian cricket would have heard of Steve O’Keefe who was largely responsible for their recent Test win against India. He is one of only two Test players to be born in what is now Malaysia. More specifically, he was born there when his father was working for the RAAF there. I think it would also be important to know whether or not the portable oxygen bottles would do the job at a given altitude. The current (ATSB) aussumption is the plane was cruising at around 30,000 ft during the early stages of the flight. Some think the oxygen bottles work only up to an altitude of 25,000, others they’d normally work at altitudes greater than that (at 30,000 or up to 35,000; 25,000 just being the certified level). I haven’t been able to find an accident report that clarifies that question. It may depend on everyone’s individual condition, but in that case, it looks somewhat strange that the plane descended in the scenario of deliberate depressurisation. The copilot’s mobile phone log may suggest he turned on his phone at the time it was logged. One possibility is he was amongst the first to be aware of imminent danger and so no-one else had turned on their phone by that time (and there was no connectivity later over the Straits of Malacca). That would weaken the likelihood of deliberate depressurisation at the time of diversion. @TBill – I should have remained silent on the flow calculations. My formula only gives the instantaneous flow rate and as soon as the cabin air density starts to decrease, the flow rate in PPH goes down. I know there’s a way to integrate the formula but I don’t remember how to do it. Anyway, if I did the math right, my formula starts out at 88,515 PPH/door and would evacuate the air in about a minute. Since the flow rate drops off over time, I’d say your 3 minutes is reasonable. I am not sure either if the portable O2 bottles are designed for over FL250. That link that the US$1 billion from Saudi Arabia to Najib was thanks for fighting ISIL didn’t open for me. Certainly a big thank you present. If true it confirms the money came from Saudi Arabia. The Trump government is completely infiltrated by the Russians! ‘The RM2.6 billion donation to prime minister Datuk Seri Najib Razak’s personal account came from Saudi Arabia, said an Umno division leader. Malaysiakini quoted Umno Kuantan division chief Wan Adnan Wan Mamat as saying in a Sinar Harian report that the money was a form of appreciation to Malaysia for “championing Islam” and fighting militant group Isis. “It was an appreciation to Malaysia for championing Islam and for practising Sunni Islam (Ahli Sunnah Wal Jamaah),” Wan Adnan was quoted as saying. @Dravello, Indeed. Our situation becomes increasingly clear. Ah yes integration, I was good at integration in college, but that was a long time ago. Here is the online calculator I am actually using, I assume it is doing all the calcs rigorously correct for me. In this case, I have to iterate vs. time. Possible new debris? Looks a bit sketchy, but not implausible…? In my humble opinion there is nothing at all in that picture to suggest the white object is a piece of aircraft debris. Looks more like a lump of polystyrene to me. @Will. The rusty “oxygen cylinder”. 777 manuals indicate the oxygen cylinders are composite. Yet they design the cylinder retaining rings with a second position, for steel cylinders, seemingly leaving at-build or future choice to customers. Re MH370, FI does not say. FI says composite cylinders, right? @TBill. Thanks. Yes it does. Missed that. This definitely strikes a chord with me. So far this seems to be the only source running with this story, so I wouldn’t accept it as pure fact just yet – but interesting if true? THE AMERICAN adventurer who devoted years of his life to solving the MH370 mystery has called off his one-man mission after receiving death threats and being ignored by search officials. US lawyer and blogger Blaine Gibson found over two dozen pieces of debris in Mozambique and Madagascar, several items of which have been confirmed as coming from the missing Boeing 777. But just days out from the third anniversary of the doomed Malaysia Airlines’ flight, Mr Gibson said the personal cost of his self-funded crusade was too great for him to continue. Relatives of those on board have praised Mr Gibson’s efforts. However the modern day Indiana Jones has been the subject of anonymous death threats over his defence of MH370 pilot Zaharie Ahmad Shah. Other self-styled “investigators” have even suggested Mr Gibson “planted” debris; an allegation he finds offensive and defamatory. He also revealed his deep frustration and disappointment that evidence gleaned from the debris he and others had found, was not considered enough to warrant extending the official search. “They’re saying unless they know the location of the plane they’re not going to look for it,” said Mr Gibson. He said he believed there was enough new evidence for the search to continue in the new 25,000 square kilometre area identified by experts weeks before the official operation was suspended. “When the CSIRO came out with those (drift modelling) recommendations it felt so good because it seemed all that I had done was worthwhile,” he said. “The scientists had factored the debris in, they’d identified a new search and I really thought they were going to look there because the ships were still out in the water. Dont worri. He will be back soon and try some other theatre. People like that dont get lost. I dont believe one word from someone who finds MH370 pieces at random. I feel Blaine may deserve some kind of humanitarian award. Perhaps the best he can do for MH370 at the moment is make a statement like this. He also needs to reflect on why Malaysia would rather not find the crash site (taking the 5th amendment as it were). @Will, Thanks very much for posting this. Extremely interesting. Also, I’ve just seen another tweet from @kstaubin on twitter claiming that there were 228 passengers on MH370, making 240 (along with the 12 crew) – rather than the widely reported 239. Has this previously been addressed or explained? @will – If I remember correctly, someone posted that one of the people on the passenger list missed the flight. Have you considered, or are you aware of anyone considering, North Korean involvement in MH370 for any reason? It is now coming to light that they may have had some access to KLIA and were not afraid to use it. To date nobody has identified a passenger who may have been targeted. I have no evidence, but perhaps North Korea, and its expatriot targets, should be included in any lists of possible intentional acts. So there are two possibilities: Either it’s true, or not (made up by BG). If BG just made this up, the only way I can make sense of it is by assuming that he’s ‘legit’ and realised that no matter how much debris he found (and keeps finding), he got and gets nowhere, and that he now tries ‘shaking the tree’ in a desperate attempt to rattle someone into making some move. If he was planting debris for ‘The Russians’ or others, those parties would presumably (?) have pursued the goal of killing any alternative theories, and then hoping for media and public interest to die down and the matter disappearing like a plane in the SIO. In that case, drawing public attention now would be wholly unnecessary, and counterproductive. The investigation is dead and there is zero media interest any more. It is possible in my view that he planted debris himself solely to ‘shake the tree’ or for ego reasons. In that case, it would of course make sense for him to make up claims of death threats now, in order to further ‘shake the tree’ (and to assume an air of importance). If, to the contrary, it is true that he is getting death threats, obviously the question would be by whom. The death threats apparently have the intention of shutting him up. At this point, I find it unconvincing that – if it really was the case that ‘The Russians’ or similar parties were behind this – those parties would see the need to do this. As I argued above, the investigation and public interest is pretty much dead already anyway, so the risk/reward balance of trying to shut BG up ‘a bit more’ than he is nonexistent in the public eye anyway makes little sense to me. According to the story, the death threats concern his defence of ZS. I find it hard to hypothesise who would want to rest the blame on ZS and not simply be content with the investigation being as dead as it is right now? Maybe it would make sense for some NOK, assuming they have strong antipathy against ZS because they hold him responsible? This is pretty much the only thing that makes sense to me, but it would imply – as above – that BG is indeed legit. At least legit in the sense of actually wanting to clear up this mystery (he may still have planted the debris, in the logic of ‘shaking the tree’). I hope this doesn’t get me banned from this blog, but being the notorious conspiracy theorist that I am, sure I can see a ‘north Korea’ scenario. Basically, nk agents took over the plane in the Gulf of Thailand, then simply flew nearly the original route, but to Pyongyang but Beijing (geographically it’s a strikingly similar route). So how do I explain what happened after? Easy. The thing with nk is – as we are seeing now – that the world is in a very bad position regarding nk. It boils down to, much as everyone hates the Kim regime, there must not be a disorderly regime change under any circumstances, because of the risk of millions of people at risk in South Korea and other places including Japan, and from china’s point of view, additionally refugees, and the risk of uncle Sam marching all the way to Liaoning. Blaine is a good guy as far as I am concerned, but there was one time I was angry at him too, and that was when he found burnt parts and said it looked like MH370 and it seems to prove fire was the cause…he got off course at that moment, he should have been much more cautious. Thankfully ATSB rather quickly shot that theory down…that was the one debris finding we got reasonably quick feedback. Yes, the feedback was quick. Why do you suppose that was the case? @JW How do you navigate fact & fiction around mh370 so well? Especially after all this time. I can’t remember the names but there’s been some interesting comments on this article. I struggle believing ANYTHING these days. Yes in hindsight, why so fast? If I recall Blaine may have delivered those “burnt” part(s) personally. Either ATSB liked the fire theory and they were anxious to find evidence, or, like Tony Abbott they always felt fire was wrong and wanted to squelch it, nip it in the bud. Not sure. My take on it is the that the ATSB wanted to reinforce the decisions they made relative to the high priority search area, A fire did not fit that scenario. I was a priority to reject such a scenario. Likewise the efforts over on Victor’s blog. We have the same stupid people using the same analytics that were used to put pins in the map at 38S. Does anyone believe their renewed efforts biased by the results of the search? No one with a brain for sure. The simple truth is that MH370 could have terminated in an area from 40S to 20S, and there is no way to refine that estimate.